Welcome to trial watch, where we keep an eye on the latest and greatest trials going on in the field of diabetes. Here, you can learn about new therapies and devices currently under study, and learn more about participating in these trials. Trial participants can get early access to new treatments, receive care at clinical trial centers, and are usually compensated for their time. You can read more about clinical trials at the “Center Watch” volunteer page or the ClinicalTrials.Gov information page. Diabetes type: Type 1 diabetes. 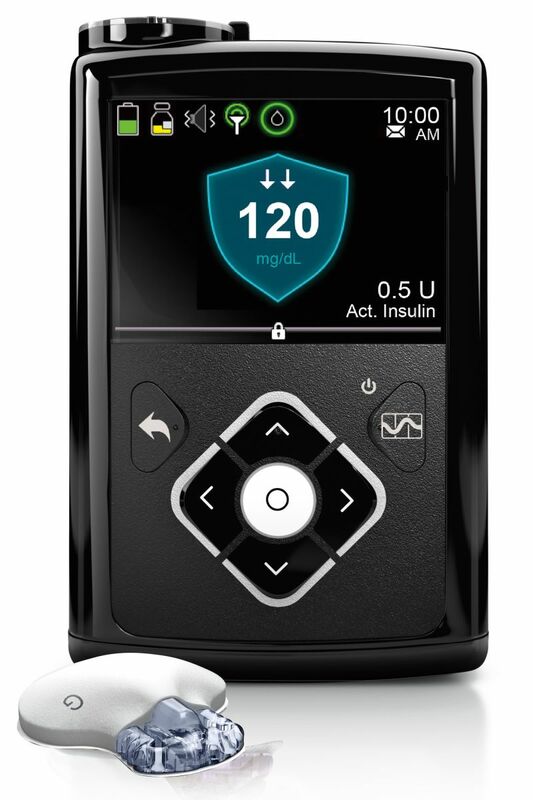 What it’s testing: The clinical trial is testing Medtronic’s 670G “hybrid-closed loop” system (insulin pump + Enlite 3 CGM sensor) in people with type 1 diabetes. Based on the Enlite 3 CGM reading every five minutes, the 670G pump’s software automatically increases/decreases insulin delivery to target a blood glucose of 120 mg/dl. The 670G algorithm is fully integrated within the pump itself, so a patient only needs to wear the Enlite 3 CGM sensor and the MiniMed 670G pump – no need to carry a separate CGM receiver. The 670G is considered a “hybrid-closed loop” because the user still needs to bolus for meals and notify the system of exercise. Otherwise, it mostly takes care of insulin dosing in the background, which is very effective at night (80%+ time-in-range in one study we’ve seen). Participants in the trial will first undergo a two-week “run-in” period, where they will wear the 670G pump and CGM without the automated insulin software turned on (but with the CGM still functioning). There is also a six-day hotel stay phase, which will allow participants to be supervised while they wear the system under more monitored conditions. Most of the study occurs at home, where the hybrid closed-loop system will be worn 24/7 for three months. Why this is new/important: While we have previously reported on other preliminary studies of the 670G system, this pivotal study (if all goes well) would be used to submit the 670G for FDA approval. As we learned earlier this year, Medtronic hopes to launch this product in the US by April of 2017, potentially making it the first hybrid closed loop system that would be available in the US. We imagine this system having the biggest impact overnight (automated control would be a major win! ), and in cases of missed meal boluses during the day. Trial Location: The trial is located in Israel, as well as seven US states: CA, CO, CT, GA, MN, VA, and WA. Do you qualify? To qualify, one must be between 14-75 years old, have had type 1 diabetes for at least two years, have an A1c less than 10%, have been on pump for at least six months, and must have a companion who sleeps in the same dwelling as the participant (parent, partner, etc.). Exclusion criteria include a history of two or more severe hypoglycemic episodes in the six months prior to screening, an episode of DKA in the year prior to screening, a severe cardiovascular event (e.g. heart attack, stroke) in the year prior to screening, and current alcohol or drug abuse, among others. Where to get more information: For more information, please go to the trial’s webpage and view the contact information specific to each enrolling location.